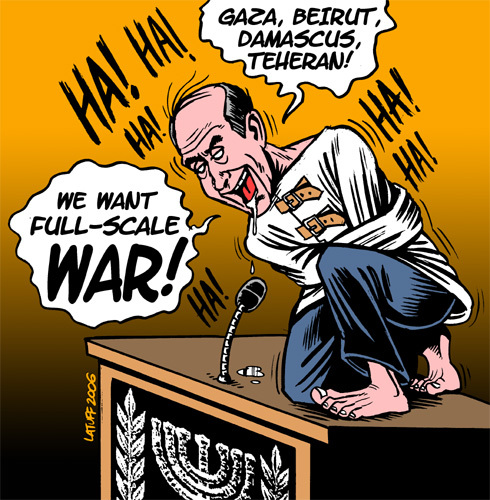 Click on the cartoon for a larger view. 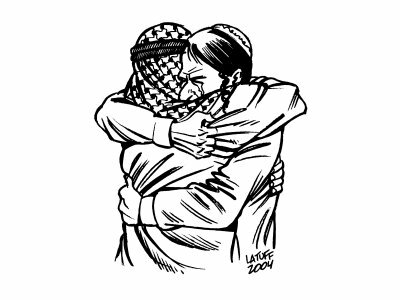 Carlos Latuff, born in Rio de Janeiro on 30 November 1968, is a political cartoonist. 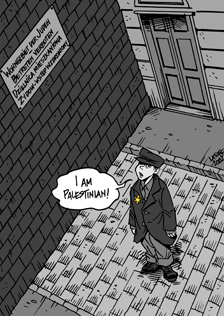 He is the author of the famous “We Are All Palestinians” series, comparing oppressed peoples at various times and places (Jews in the Warsaw Ghetto, Blacks in South Africa, Blacks and American Indians in the United States, and others) to Palestinians, and the “Forgiveness” series, picturing scenes of reconciliation between Jews and Palestinians. 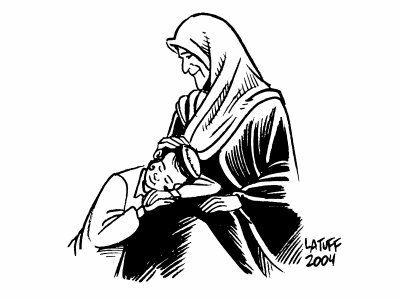 See, also, Latuff’s “Since There’s No Longer Any Israeli Settlement, Gaza Is Now a Free Fire Zone!” (MRZine 30 June 2006); “Israel Has the Right to Defend Itself” (MRZine 5 July 2006); “Collective Punishment” (MRZine 14 July 2006); “A Lesson of Lidice” (MRZine 16 July 2006); “Lebanon Is Burning” (MRZine 20 July 2006); “Israeli Leaflets: ‘For Your Safety'” (MRZine 23 July 2006); and “Welcome to Lebanon” (MRZine 25 July 2006).